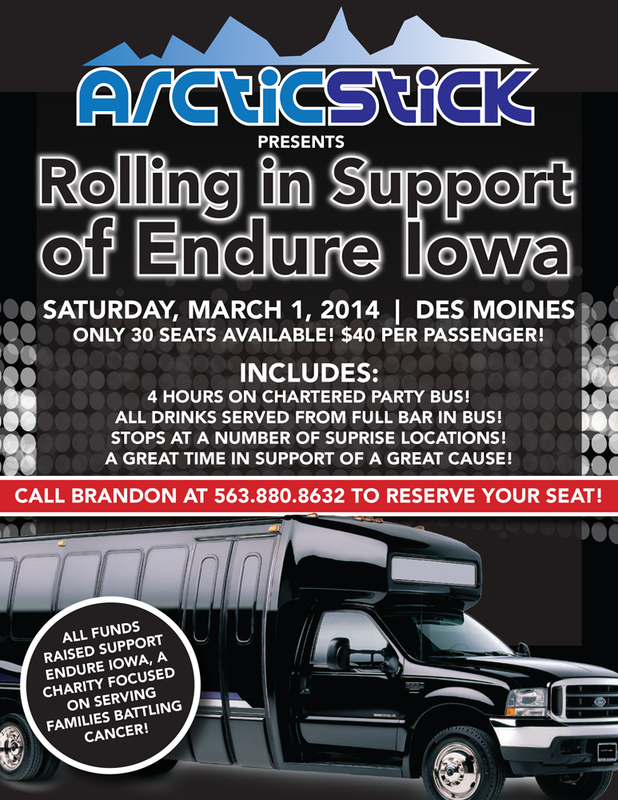 Arctic Stick inventor and owner Brandon Adams is hosting a special event called “Rolling in Support of Endure Iowa” on Saturday, March 1. Adams is offering a 4-hour chartered bus ride, drinks and stops at a number of surprise locations to the first 30 people to pay $40 in support of Endure Iowa. To reserve seats for the event, call 563.880.8632 asap! A flyer detailing the event is included below!